I've been washing dishes, wiping my kids' boogers and letting my husband take over my life for way too long already (oh wait, my husband would say otherwise, it may be the other way around)! Of course,there's nothing wrong about all these, I'm a mom, it never was an accident, never was a decision, it was God's plan all along. I'm sure you'd say that wasn't a good introduction, but I'm also sure many feels the same way, most women would, unless you haven't been married nor had kids. I'm not looming a lamentation spread, I do want to pose a challenge to who ever would read this post. If you are given an opportunity to help, to inspire someone, would you, A. do it, B. will do it next time, or C.will not do it. If you're like me, a late-bloomer, you need to act quickly and stop procrastinating! Your choice will determine your course to a happy and meaningful life, it may not be the success you have been expecting rather the fulfillment that you did it. On this course, failures are certain to happen but do not fret, instead have faith in God . How I took this course, to realize my purpose and bear fruits? I used to be just an ordinary wife and mom, I was happy, yes, taking care of my family, but it felt empty and I was guilty that I wasn't using my education, so I insisted on looking for that perfect job that would fit my need and at the same time, I'm still hands on to taking care of my family, were the yaya works less. Need I mention too, that I also have needs that sometimes the family finances could not afford, which means we're not secured financially. I had the need to help my husband while filling that gap in me, but brought upon frustrations, missed family times, quarrels with the husband and all summed up to stress. I guess it was inevitable. Everyone face that tragic reality but hope is not dead. It seems to me that women have a strength about them that men never had. We women I believe have the capability to overcome all this, all for the love of the family. We are resilient creatures though people assume we are sweet and docile, innocent and weak. We can multi-task, it is our skill. It may be stressful but a woman’s capacity to handle stress helps her to multi task. All these mattered to me and it consumed me, there was something inside me aching to voice these out. But many of the women I know, couldn't realize these. Many have come to me asking all sorts of questions, and it gives me pleasure whenever they would come back and tell me how I have helped them. In most of the times I can see myself through them, the pains they have gone through, their worries and their problems. This blog is an extension to that, letting the words out and giving value to the lives of women. People have judged me, but it just chiseled me, many have looked at me shallowly too, these are the same people who didn't know what I have actually done for many (no need to brag). But what I'm really concerned for is that when that unfathomable time comes that I will come a-close to my Maker, my God, my Savior, and He asked me, if I lived His purpose for me, what will I say? So what are His purposes for us? He blessed me to be a blessing; He paved the way for me to know Him personally, so I can also introduce Him to others; He was my Strength so I can also strengthen others; He promised wealth ("...my cup runneth over," Psalm 23:5), so I can live my life to the fullest; He healed me and re-established me so I can practice compassion and forgiveness; and many more wondrous impartations. These are the things that make me move, aside from the love and support I get from my loved ones. These are the same things, #WE women need to know and that #WE have the capability to do so,. At times we couldn't do it on our own, #WE need other women. If you can not still answer the question I posted above, then, this is definitely for you! When women band together, the world around them is shaken. All of a sudden, people touches hearts, a weak at heart becomes stronger, people are connecting with each other, each tapping one's potentials, each helping improve each one's lives and situations become more bearable. I always believe in the simple words of two heads are better than one, but more heads will accomplish way better. With my last coffee date with Rowena Suarez, my financial advisor and confidante, we talked about these things and how she's very willing to share her knowledge about money matters, budgeting, savings, starting out a business, keeping up a business.and essential topics every woman needed to understand, to be able to gain freedom from stress, financial uncertainty, poverty, poor health, personal insecurities and many others. She's the only one (really) who know's how much I'm worth (financially). She was one of my role model, a definite woman of action, and she's also a mom, I guess that's what makes her another supermom. Out of that invigorating talk, we came up with Women Empowerment or WE, a series of events were we would invite society's movers and shakers, ordinary women who are doing well in their own endeavours, each learning from each other and supporting one another in endless possible ways. From that as well, we came up with our first event, These series of events will be touching points on money matters and other things that matters to women. We want to embolden the idea of wealth management and make them a blessing to others as well, even in their own little ways. 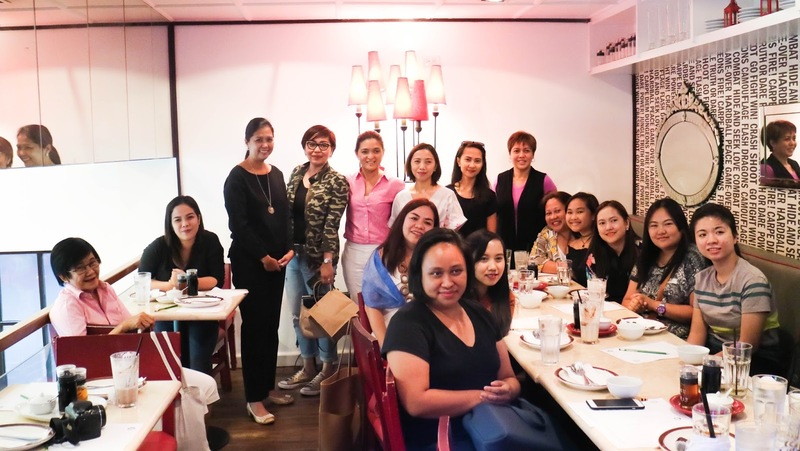 Our very first event, came into fruition as bloggers and women starting up their business and broadening their networks came at Simple Lang at Ayala Triangle Gardens. It was one of my best birthday celebration, as this was one of my passion project coming into life. I'm so excited as I'm already thinking of other ways how to inspire more people to start doing and creating their plans for happiness and comfortable lives. Since it was all about passion, I made sure one of the things I love talking about will also find it's way through the event, so we invited celebrity chef, Michelle Adrillana of Stew Comfort Food and Flavors of Fire and health food catering catalyst Jill Busuego of Delicioso. Both talked about how they started in their food businesses, together with the pitfalls they have encountered in the process, they imparted inspiring words for every business person trying to make it in the food industry or in whatever they make a living from. Their stories and heart-warming suggestions sparks more motivation for each one, including me. The meat of the talk was all about the principle of saving up and how to do it successfully given by my Rowena, or Ro for short, as what everyone calls her. On top of this arena is Ro, who had been a 7-year MDRT (Million Dollar Round Table) Member of Pru Life UK. With all her clients attesting to her professionalism and being seriously personal in her advocacy in building wealth in everyone. 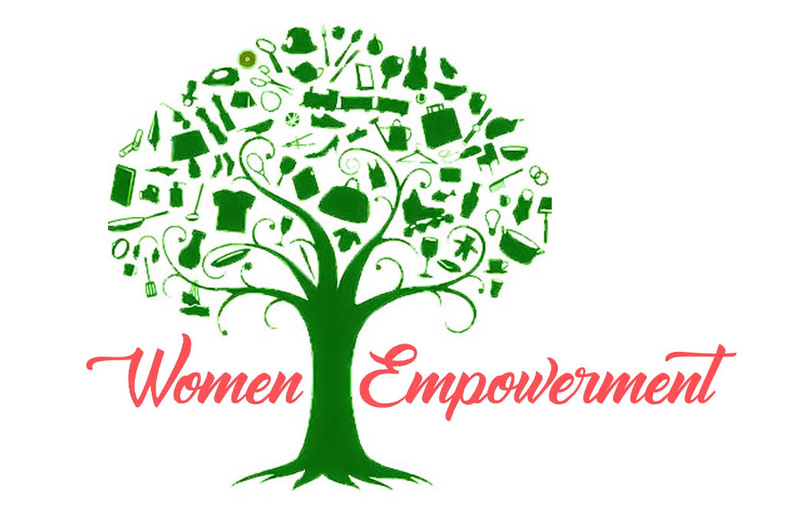 Together with good food from Raintree's Simple Lang, the event ended with a simple fellowship and with great hope that this advocacy will reach either confused souls or empowered women who also wants to empower more women. If you think you missed this kind of opportunity to be with women of the same purpose, make sure to follow our FACEBOOK pages - @WEManila, @Gastronomy-allaboutfood and @JustaskRo.